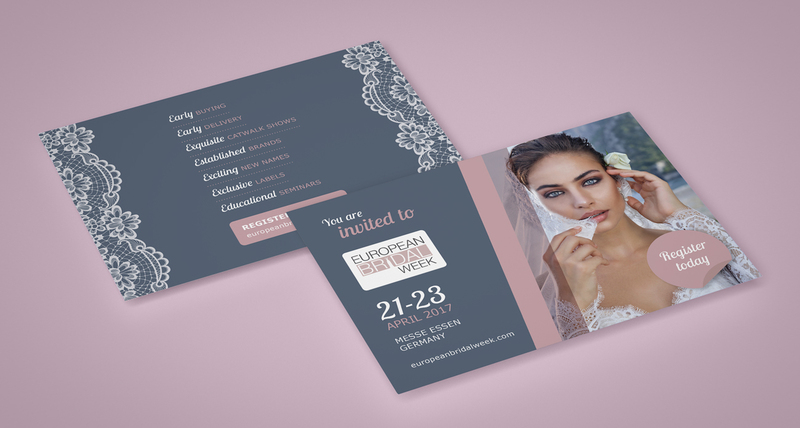 Comprehensive offering of marketing, email design and social media for bridal trade exhibition, European Bridal Week. European Bridal Week is a highly respected bridal trade show. The third edition takes place in Essen Germany in 2017. Growing in size and reputation, they approached RONIN to help them attract the best possible buying audience to the show. 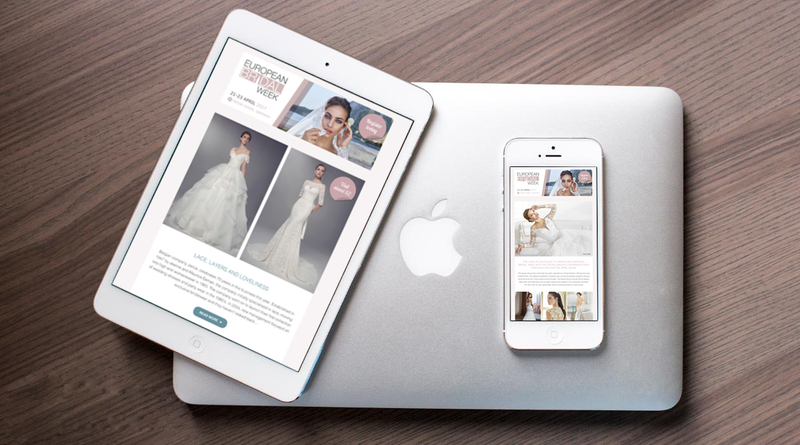 RONIN produce regular, vibrant eblasts, email campaigns and newsletters for them as well as designing their show invitations, both on-line and in print. RONIN also set up Facebook and Twitter accounts for EBW. The show moved from strength to strength, growing its digital presence through daily communication with its audience. Its marketing collateral was elevated to a whole new level and registrations for the 2017 event were at an all-time high – 300% higher than at the same time last year, making it a record-breaking year for European Bridal Week.